Chief Display increase your visibility with real time incident response information, traffic cams, weather, and more! Chief Display is a completely dynamic digital signage system for your agency. 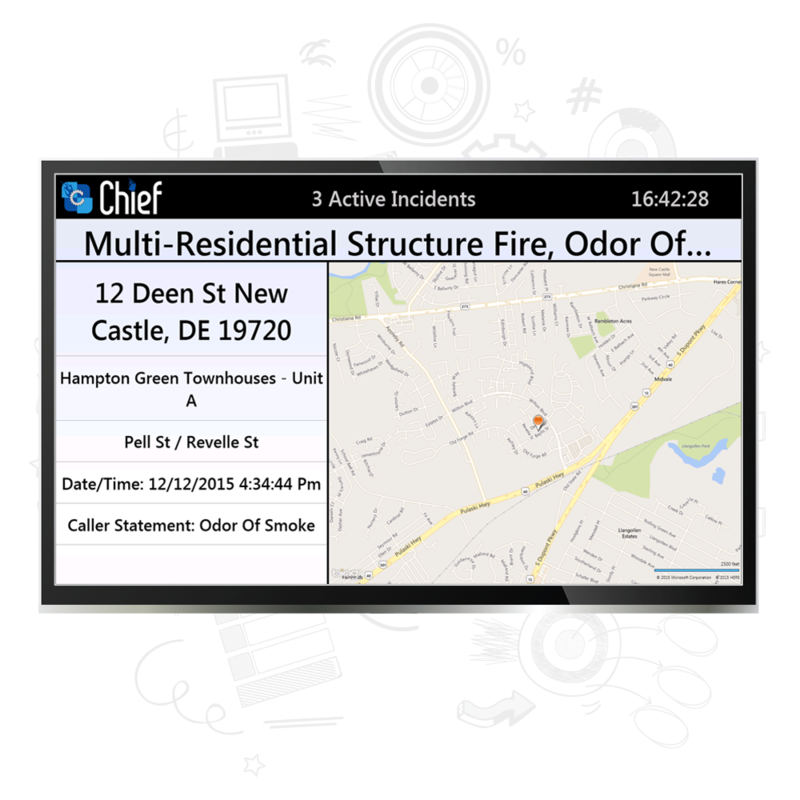 Chief Display interacts with the Chief Platform to display incidents with their locations in real time as well as Chief Responder information. When there is not an active incident, the Chief Display can be configured to show a variety of content. Your display board is configurable through the Chief Backstage to manage the content you want to display on the screen when in non-emergency mode. Customize the layout or chose from our predefined setups. You can also display the same content across all of your displays or have unique content on each one. The choice is yours!